The latest release from one of the hottest cigar brands out there right now. 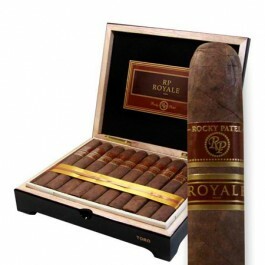 Rocky Patel Royale Toro cigars are medium to full-bodied toros, with huge flavor and complexity. The latest release from one of the hottest cigar brands out there right now. Rocky Patel Royale Toro cigars are medium to full-bodied toros, with huge flavor and complexity. 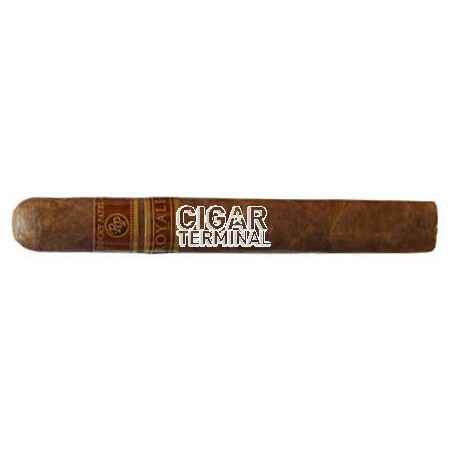 You get a lot of cigar for your buck with this premium from Rocky, at 6 1/2 x 54, this is a large Toro that delivers a sweetness of spice along with espresso that will transition over to roasted almonds, earthiness and leather notes. you wil enjoy the specifc cigar with your afternoon brandy. One of the best American cigars with a unique and classy taste.